How much will your tattoo cost you? Questions surrounding tattoo prices are extremely tough to answer, and ones that can never be answered accurately by anyone besides an actual artist who knows exactly what you want as your tattoo - and even then it may still be impossible to give you an exact answer until your tattoo is completely finished. 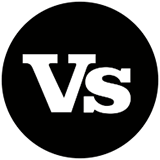 However - we can definitely help to shed some light on the many factors involved in deciding how much money any particular tattoo is likely to cost. Hopefully this detailed article can give you some insight as to why some tattoo prices add up to mere dollars, while other tattoos cost many thousands. Tattoo Prices Aren't Everything – Don’t Get Something You Might Regret! There are many, many reasons why two very similar-looking tattoos can be priced so differently to each other. A lot of the reasons are obvious, but there are also many obscure reasons as to why some tattoos are more expensive than others. 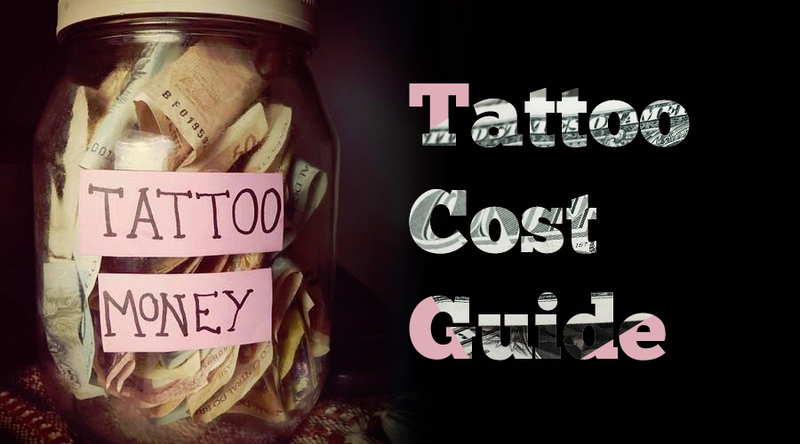 Below are some of the main factors involved in the process of deciding how much a tattoo is going to cost. Definitely one of the biggest factors when it comes to working out how much your next tattoo might cost. Tattoo artist skill levels vary incredibly from artist to artist. At one end of the scale, you’ll most-likely be getting ripped off if you’re charged any more than $20 by a friend who got bought a tattoo kit from eBay for Christmas and has yet to try it out yet, or by a guy dishing out tattoos on the sofa of a friend’s house during a party. At the other end of the scale, if you walk into a top studio and ask an artist with 20+ years’ experience what their rate is, don’t be too shocked if they turn around say $150+ an hour. However, you must remember to take into account that you don’t need to have years of experience to be a highly skilled tattoo artist - and you’re not necessarily always going to be a highly skilled tattoo artist even after years of experience. And what I mean by this is - there are some extremely talented artists around who only have a few years’ experience under their belts; whilst there are many artists who have 4x as much years in experience, but are still as mediocre as the day they first started. Also, remember that tipping a tattoo artist is seen as a great way of showing your appreciation for them if they've ended up doing an awesome job with your ink. Just remember that a tip will bump up the overall cost slightly. Therefore, always check out your artist’s previous work to make sure that they warrant their price tag, and don’t immediately knock artists with little experience - they could be highly talented and demand a much lower tattooing price when compared to an artist with 20+ years’ experience who hasn't progressed their skill levels much during their whole career. A pretty obvious factor. Naturally, if a tattoo artist is extremely popular and in high demand, they're going to be able to charge as much as they like whilst still getting business – so if you walk into a popular studio asking to get tattooed by a popular artist, be ready to pay a premium price for your tattoo. Even if an artist isn't that great, once they've appeared on one or two popular tattooing TV shows, or within a couple of trendy tattoo magazines, their prices are likely to soar as demand increases due to people wanting to get inked by ‘that famous tattoo artist’ - so keep this in mind if you’re wanting any ‘a-list artists’ to tattoo you. Probably not a factor that will affect most people wanting a tattoo, but some artists from various cultures around the world still practice the art of tattooing using older, more traditional methods using cultural techniques and tools that the vast majority of current artists around the world have no experience in using or implementing. Therefore, if you wish to be tattooed by a traditional artist from a specific culture using traditional tattooing methods then you’re most-likely going to have to pay more money for the opportunity. You must remember that all artists work at different speeds. Some artists are incredibly quick with their work while some take a lot longer. No one way is better, but if you're paying by the hour, the slower artist is obviously likely to cost more than the quicker one. A tattoo artist working within a very popular studio is going to demand a higher price for their work. When artists work within a studio, the studio usually takes quite a large cut of the artist's earnings as a return for the renting of space and costs of materials used by the artist while working at the studio. The more popular a studio is, the more revenue they will be able to generate by recruiting artists who can demand and charge higher prices for their work. This factor ties in with the popularity factor above. A less-popular tattoo studio in a small town is likely to​ charge less for a tattoo than a bigger studio in a city. This is because their customer-base will be much smaller, and they will need to be much more careful with their tattoo pricing structure so that they don't put off and turn away their smaller, extremely important customer-base. Another reason why smaller studios in more obscure areas may have cheaper prices is that good artists in these areas are normally harder to find when compared to more population-dense areas like bigger towns and cities, where many more tattoo studios are usually situated. As with artists, if a specific studio has appeared in a few TV shows and magazines etc. it is likely to become much more popular with potential customers, and therefore will be able to demand higher prices for work. Many walk-in studios have hundreds of pre-drawn tattoos (tattoo flash) within their waiting rooms displayed within books and stuck onto walls that you can choose from, which the artist can then transfer instantly onto your body-part of choice. These tattoos are normally small and relatively simple, and the fact that they're already pre-drawn means that there's very little planning involved before getting tattooed. This means that there are very rarely any costs involved with the planning of these types of tattoos. On the other hand, many larger tattoos are custom-drawn to a customer's exact requirements. These drawings can be extremely detailed and can take up a lot of the artist's time - therefore many artists may charge extra to draw something bigger and/or more detailed up for you. When it comes to the costs involved in getting a custom design drawn up, prices vary between each artist. Commonly though, artists normally charge around 1 tattooing hours worth of money for the planning phase; so if your artist charges $100 an hour for a tattoo, this could potentially be what it will cost you to have the artist draw a design up for you. Of course, as mentioned though, the costs do vary widely between artists and studios. You may be lucky however, as many artists do not charge extra for designing custom, more detailed tattoos (as long as you're not planning on stealing the design and taking it to another studio/artist). Be careful though - if your artist keeps drawing designs up for you, and you continue to ask for lots of changes to be made, your artist may ask for extra money from you to cover the costs of the extra hours that they're spending on perfecting your design. Time equals money and artists need to make a living! Another rather obvious factor. If you're planning to get a huge back-piece or a full sleeve, it's going to cost considerably more than a small ankle tattoo. Remember though, not all small tattoos will necessarily cost less than larger ones. For example, an extremely intricate and detailed half-sleeve is likely to cost more than a full-sleeve consisting of basic shapes with no shading, as it will take much longer to tattoo the more detailed parts. Generally, color tattoos cost more than black/gray, but only marginally. As colored inks generally cost more than blacks, some artists choose to charge a slightly higher price, although this practice isn't common and most artists will choose charge the same rate regardless of color. This includes specialized pieces such as white ink tattoos. Another reason why getting a tattoo in color may be more expensive is that your artist will generally have to take more time out between tattooing in order to change and mix colors ready for the next section. This chopping-and-changing of colors can bump up the final price of your tattoo, especially if it's a bigger piece. This is because the length of time it takes to mix and maintain colors throughout your entire tattooing session can add up to quite a lot if you're in the chair for many hours. Tattoos can be created with little difficulty on most parts of your body - but other, more awkward areas of skin can cause bigger issues and require greater care and attention from the artist in order to draw the tattoo so that it looks exactly as it should once finished. Therefore, if most/all of your tattoo needs to be placed on an awkward area of you body, your artist may charge you extra. Also, it will usually take longer for your artist to do a great job at tattooing on an awkward piece on skin, and therefore the price is going to rise as the time required to draw the tattoo increases. If your artist uses top of the range inks, needles and soaps/creams etc then he will likely command a slightly higher price compared to if materials were of a lesser quality. 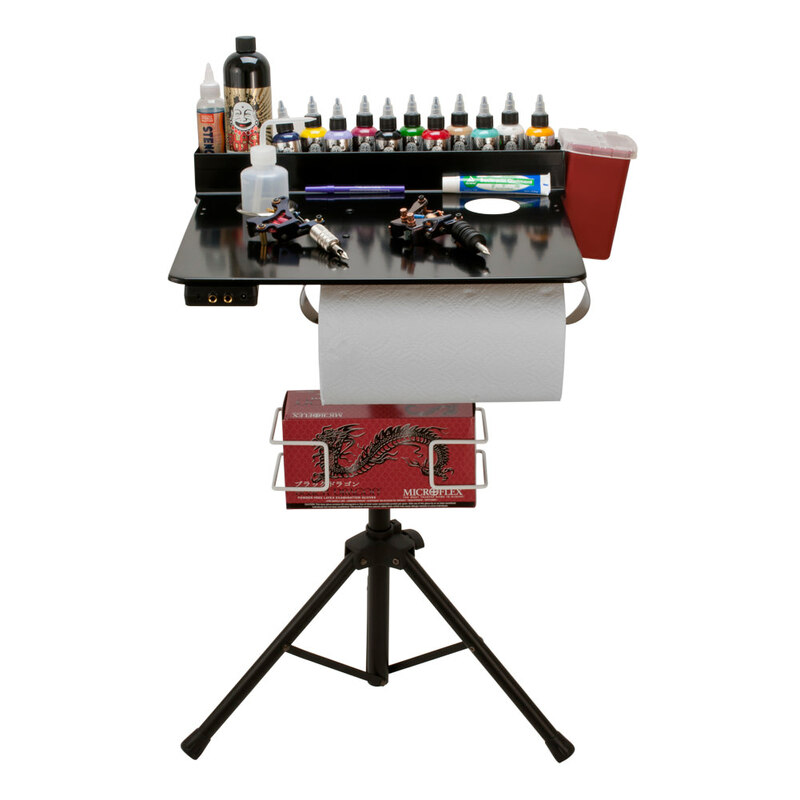 However, the price difference will probably not be worth thinking about for most of you as I'm quite sure that all of you guys reading this would rather have your artist equip themselves with the best tools available for the job to ensure that your tattoo comes out looking as best as it possibly can. Below is a table summarizing how much a certain type of tattoo may cost you. Remember, these prices are highly estimated, and prices can vary wildly depending on each of the factors already mentioned within this articles. How Much Does A Small Black & Gray Tattoo Cost? A small black and gray tattoo will cost somewhere between $20 - $160 depending on the artist and studio. 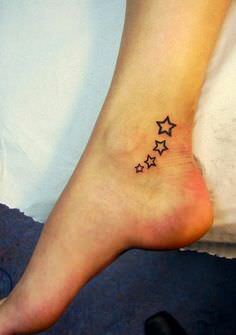 How Much Does A Small Color Tattoo Cost? A small color tattoo will cost somewhere between $30 - $200 depending on the artist and studio. How Much Does A Medium Black & Gray Tattoo Cost? A medium black and gray tattoo will cost somewhere between $40 - $300 depending on the artist and studio. How Much Does A Medium Color Tattoo Cost? A medium color tattoo will cost somewhere between $50 - $350 depending on the artist and studio. How Much Does A Large Black & Gray Tattoo Cost? A large black and gray tattoo will cost somewhere between $100 - $3500 depending on the artist and studio. 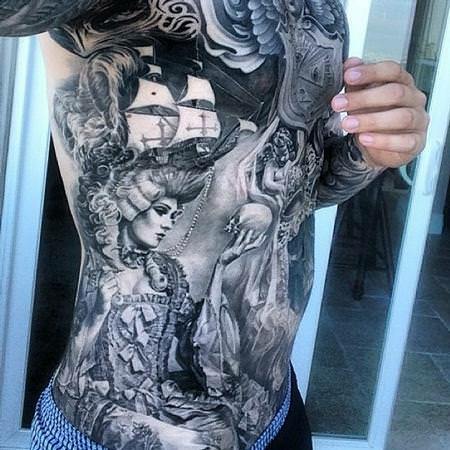 How Much Does A Large Color Tattoo Cost? A large color tattoo will cost somewhere between $140 - $4000+ depending on the artist and studio. How Much Does A Half-Sleeve Tattoo Cost? 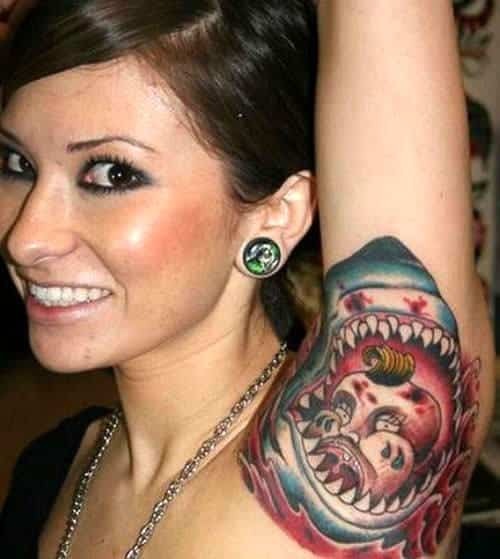 A half sleeve tattoo will cost somewhere between $300 - $1500+ depending on the artist and studio. How Much Does A Full Sleeve Tattoo Cost? 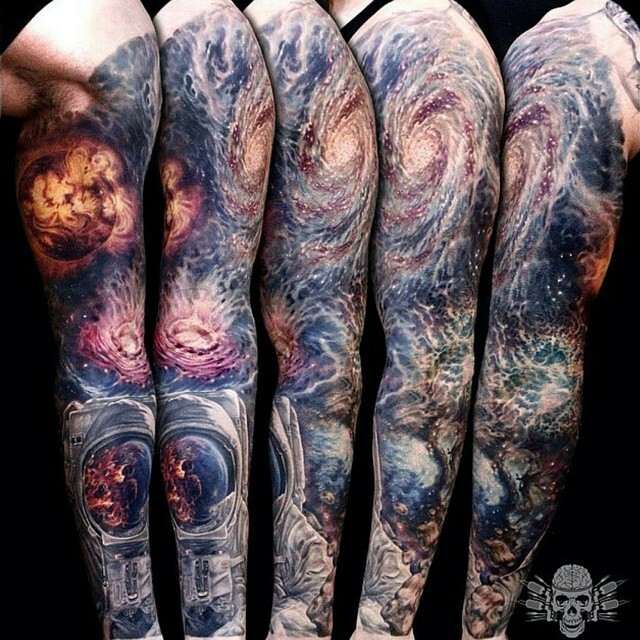 A full sleeve tattoo will cost somewhere between $500 - $3000+ depending on the artist and studio. Different artists have different ways of taking payment when it comes to tattooing. Below are the two most common ways in which you might pay your artist for a tattoo. Many artists prefer to charge for their work by the hour, and normally their minimum charge is for one hour’s work – so if you go in wanting a tattoo that will take 10 minutes to complete, you’re still likely going to be paying for an hour’s worth of work. The main reason for the minimum charge is that the artist is still going to be using brand new needles and sterilizing equipment on you, and this all costs the artist more money – therefore they must charge a minimum so they don’t actually end up losing money. Hourly charging is normally done on bigger, custom and more complex pieces where an accurate price/time of completion is impossible to predict until the tattoo is completed or near completion. Generally, when you’re paying by the hour, you will pay the artist after each session at the studio. For example, if you go in one day for 4 hour’s worth of a new tattoo, you will pay the artist 4 hour’s worth of time at the end of the session. When you go in the next time – say for 3 more hours on the same tattoo if it still isn’t finished, you will pay your artist for another 3 hours of work at the end – and so-on. If the tattoo design is pre-drawn or a simple, small piece of work, your artist may charge for the whole tattoo up-front as a one-off payment. This is because if the tattoo is already pre-drawn and in a design book or on the wall at the front of the studio, the artist will likely have already tattooed the design on somebody else and therefore will know quite accurately how long the tattoo will take. Also, smaller tattoos are generally easier to predict in terms of times, so your artist may just decide to charge you for the piece as a whole instead of by the hour, even if the tattoo isn't already pre-designed. If you're not very good with pain, you might have ask your artist to stop for a break quite regularly throughout your sitting if the pain becomes too unbearable - this can add time onto your session, thus increasing the overall cost of your tattoo, especially if you're being charged by the hour. 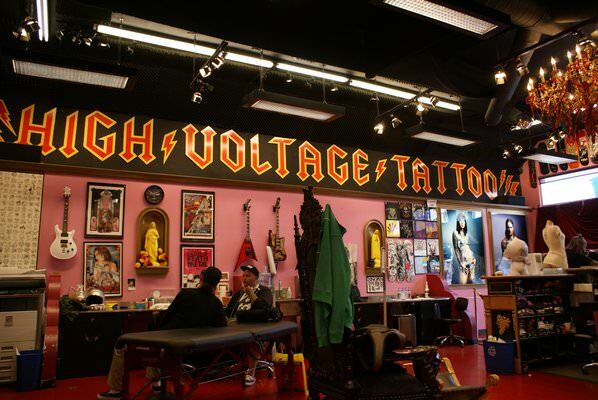 Generally, if the designs are small and the tattoo prices have been predetermined, customers probably won't be charged extra if they take one or two small breaks during the tattoo session, so don't worry too much about asking for a little time-out. Sometimes, especially if your tattoo is a bigger piece, certain artists may have deals on where for example, if you have a wholes day’s worth of tattooing done, you get a discount for the day’s work – or if your work has taken many days to complete, if your artist is nice, they may even knock a couple of hours off of the total price to say thanks for committing to them for such a big, expensive design. You must remember though that not all artists put on discounts, especially if they’re extremely popular and/or highly regarded. It may be worth asking up-front however if the artist can cut you any kind of deal, but don’t act/feel hard-done-by if the artist advises that no deals or discounts are available. Again, most artists tend to do things differently to each-other with regard to deposit, but the vast majority of them will require a deposit of at least some description, unless it's a walk-in session where you're getting a tattoo done there-and-then, in which case a deposit is pointless. A deposit is required to secure your booking and also to cover the artist in case you don’t show up when you should have. If you fail to turn up when previously arranged, or you cancel without much notice, you will likely loose your deposit for wasting the artist’s time and causing them to lose out on the money that they would have gained had they been tattooing somebody in their now-empty time slot. Usually, tattoo deposits cost what your artist will normally charge for an hour or two of their work, and your deposit cost will be deducted from the total amount after the final tattooing session is complete - so you essentially get your deposit money back by the end of it. Sometimes, your tattoo doesn't heal quite as well as it should do during the tattoo healing process and you need to go back to studio to get your artist to go over certain areas of the tattoo again. This is known as a touch-up. Although most artists will be happy to perform a touch-up for you, some may refuse to if you've clearly neglected your tattoo during the aftercare ﻿process. Once-in-a-while you might come across an artist who may charge for all touch-ups, although this is relatively uncommon. The cost of a touch-up does vary, but should normally only be a small fee. If you want the best chance of ensuring your tattoo heals brilliantly, and to minimize the risk of having to go back to the studio for a touch-up, then a decent aftercare lotion is vital. The best tattoo lotion I've ever personally used is a (vegan) tattoo aftercare product called Hustle Butte﻿﻿r. This stuff works amazingly well during the healing process - not only to keep your tattoo really well hydrated, but it's also very good at soothing that annoying itching and irritation. Remember – “A GOOD TATTOO IS NOT CHEAP, AND A CHEAP TATTOO IS NOT GOOD”. I cannot stress this enough – do not get a tattoo just because it’s cheap! 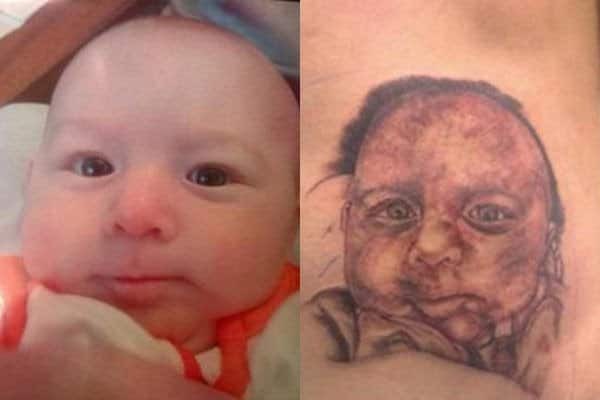 A tattoo is with you for life, and you shouldn’t get a suboptimal piece of artwork on your body just because your shoddy artist was a bit cheaper than the next guy. You get what you pay for folks. 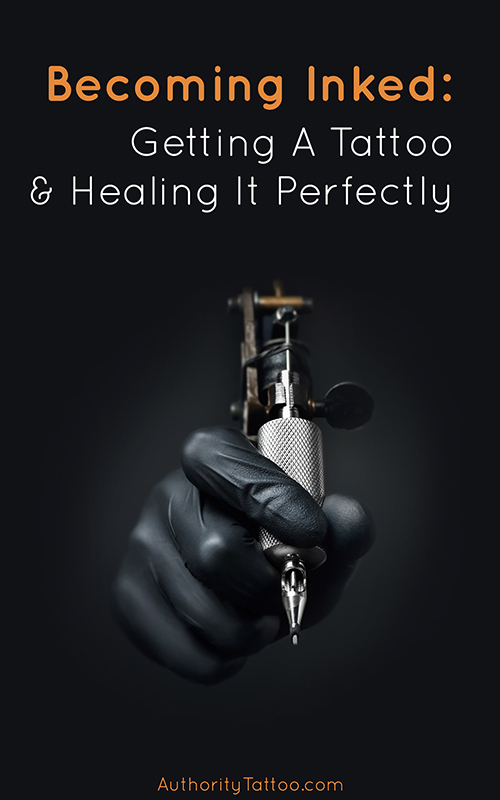 Always ensure that the tattoo you’re getting is one that you’ll continue to love for years to come, and if you can’t afford the tattoo that you’ve been dreaming of – save up and wait! You'll appreciate your decision in the long run. Unfortunately, neither me nor anybody else in the world can tell you what your tattoo is going to cost you, apart from your artist – and even then, they might not even be able to give you an accurate price until the tattoo is complete, especially if it’s a large and/or complex piece of artwork. Hopefully though, by studying the main pricing factors written in the sections above, you can get a very rough idea of what the tattoo prices of your desired pieces of artwork MIGHT be – and hopefully you’ll be able to make a good decision and end up getting an amazing tattoo that you’ll appreciate for the rest of your life, regardless of how much the tattoo costs.